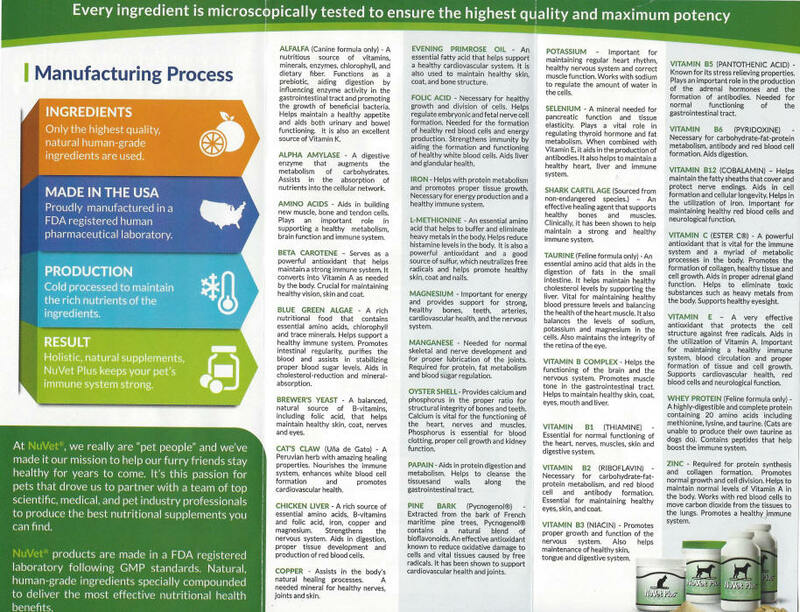 This product is All Natural and is made with Human Grade Ingredients! There are no Fillers or Binding agents used in this product!! 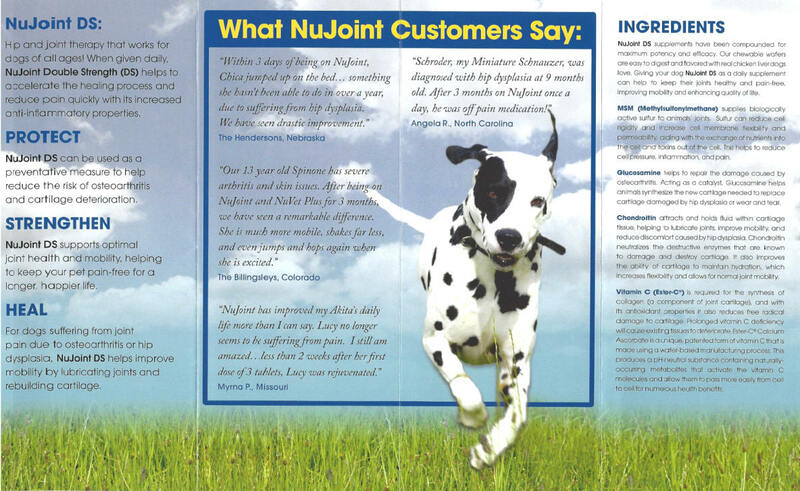 NuVet Plus & NuJoint Plus are two supplements that can help with alot of things. I have used and still use both products. I have seen how it works on puppies, adults and the elderly. I BELIEVE IN NUVET PLUS! Please read below for savings! 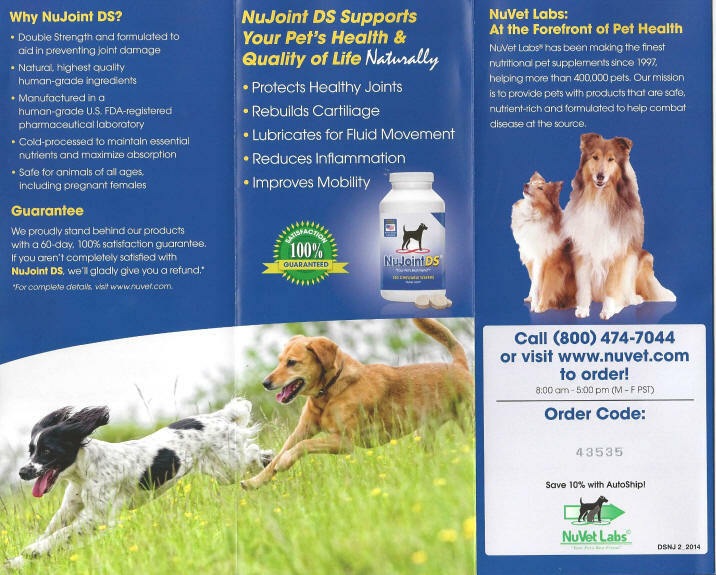 NuVet Labs has been helping pets thrive since 1997 by manufacturing the highest quality pet supplements available. separation from their mother, and exposure to bacteria in an unfamiliar environment. NuVet Plus is a superior immune system support supplement that provides everything your new puppy needs to grow into a healthy adult! 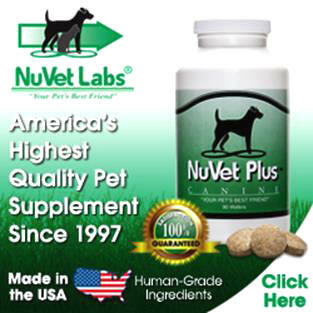 · You can use NuVet Plus wafers as a treat replacement! Help keep your new family member healthy for only .52 cents a day! 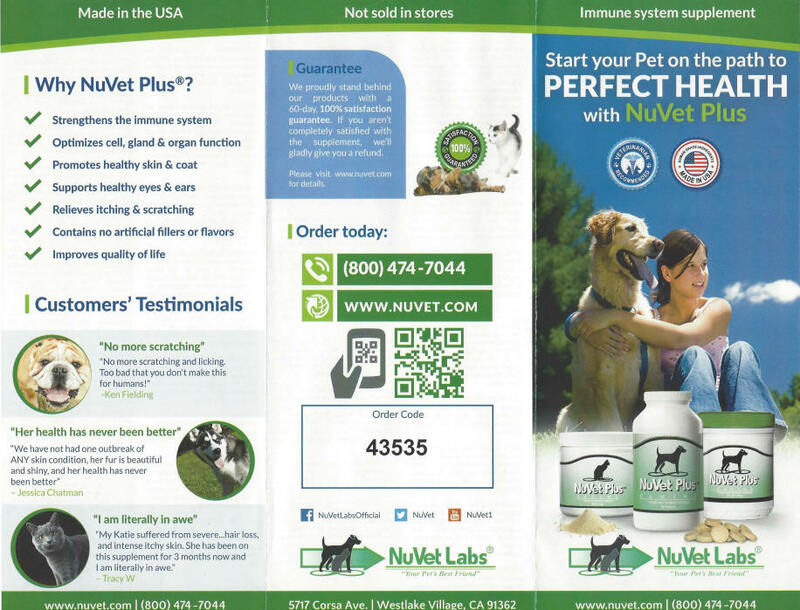 Order your NuVet today for your new puppy or adult dog! 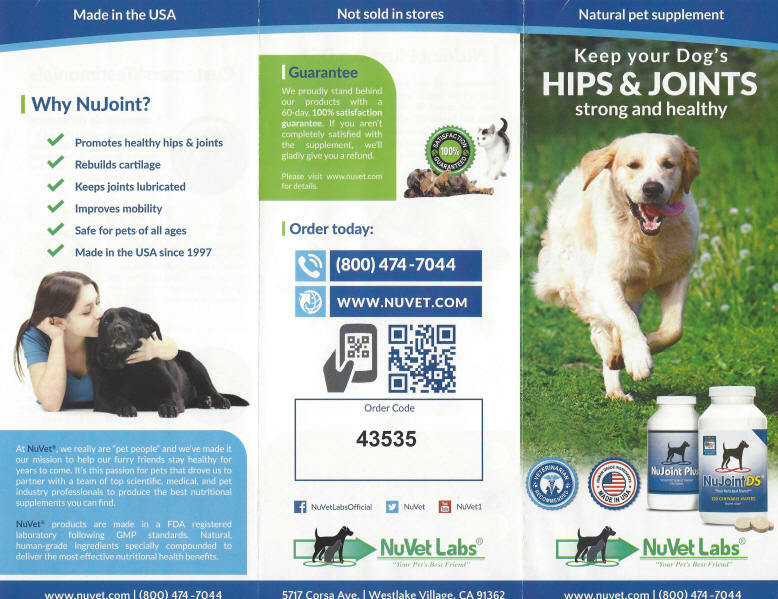 We feel this product adds to what your Puppy and Dog will need for a Healthy Future! You cannot purchase this product at a Local Pet Supply Store....It's sold through your veterinarian or your Breeder. 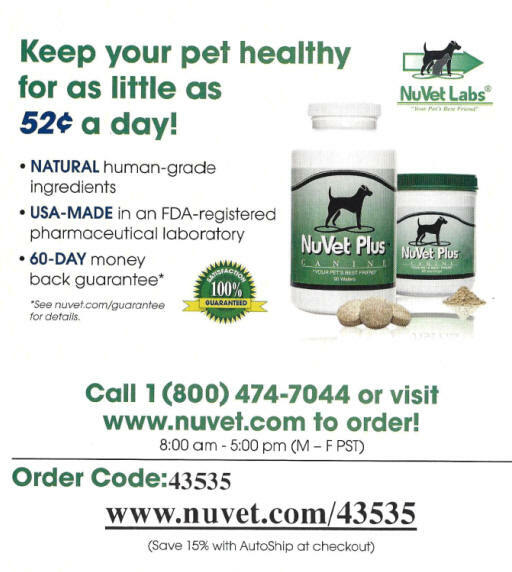 If you purchase NuVet Products and mention your Breeder's CODE, ours being 43535......you can order up to 45% less then what vets charge. Also, if you go on the Auto Ship Program, you can save an additional 15%. That is a huge savings over a year's time! Information below for your convenience. My older dogs are on the NuJoint Plus below. It's amazing! This is NuJoint DOUBLE STRENGTH! 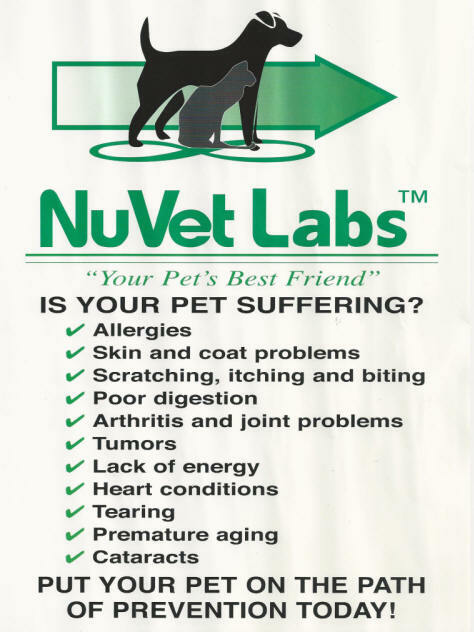 We strongly recommend all the NuVet and NuJoint products!! 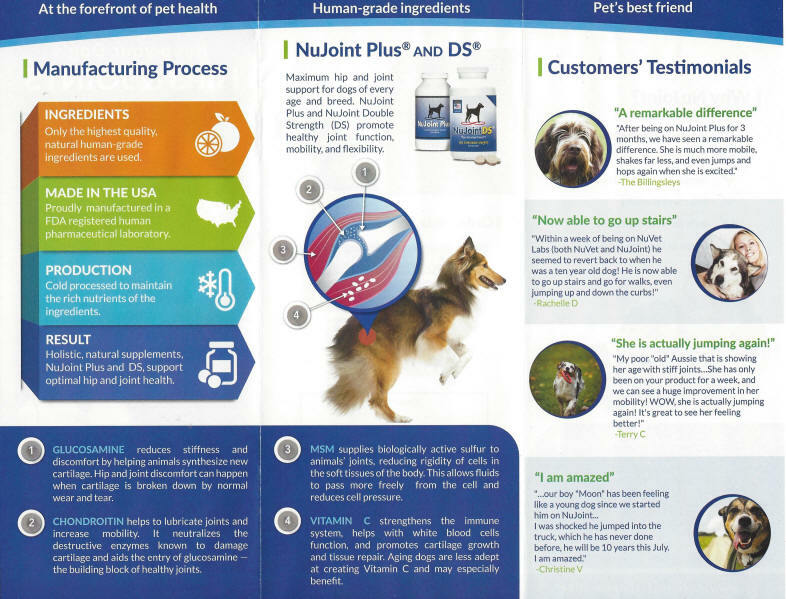 The information above is taken directly from the NuVet handouts that I will provide for you in your Puppy Pack.